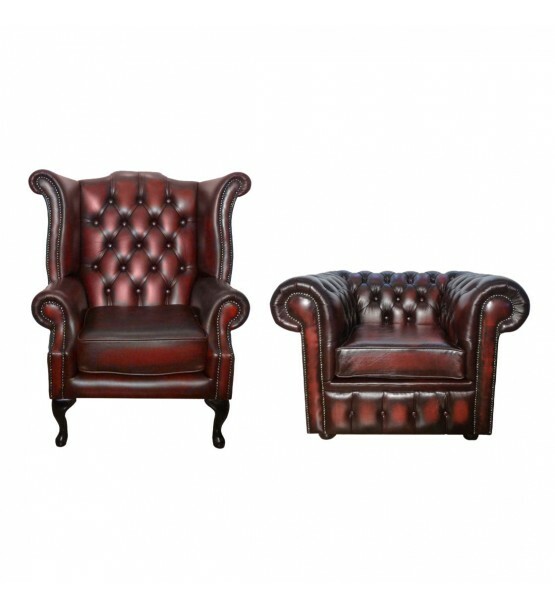 A perfect combination, the Chesterfield Queen Anne and Club Armchair, both hand made from 100% genuine leather on a hardwood frame and supported on solid mahogany feet which provides a long lasting and durable live. The Queen Anne Armchair is a high back winged design chair with deep bottons on the back rest and metal beading around the arms and wings giving a great finishing touch. The Club Chair is a low back chair with deep buttons around the arms and back and stud beading around the front of the arms.